Markets closed modestly lower on Monday as reports began to trickle in on the early signs of how the holiday shopping season may turn out and where interest rates may go in the U.S. and Europe. 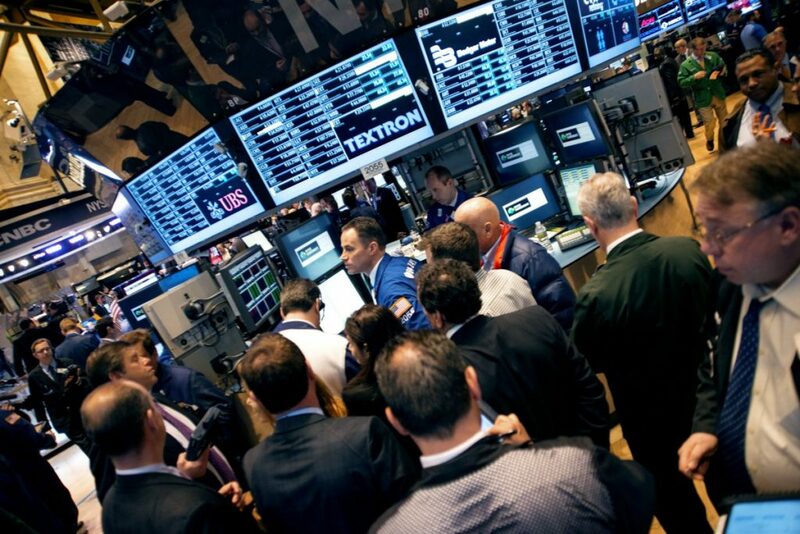 The Dow Jones industrial average lost 78.57 points, or 0.4 percent, to 17,719.92. The Standard & Poor’s 500 index lost 9.70 points, or 0.5 percent, to 2,080.41 and the Nasdaq composite lost 18.86 points, or 0.4 percent, to 5,108.67. Among the losers on the day were department stores like Macy’s, Kohl’s, Wal-Mart and Target. Initial data from the first holiday shopping weekend showed shoppers were not going to stores as much as last year. Preliminary data showed in-store sales on Thanksgiving and black Friday were down$112.1 billion compared to $12.3 billion last year. This after economic data shows that Americans are in a far better place financially than they were a year ago. Professional analyst had mixed views on where the market might be heading. “We believe Black Friday has gone from a period of management excitement to one of anguish,” Nomura retail analysts Simeon Siegel, Gene Vladimirov and Julie Kim wrote in a note to investors. “While it’s too early to make the call about how 2015 holiday revenues (and margins) will unfold, our survey results for the Black Friday weekend don’t add a lot of confidence for the broad retail landscape,” Dave Weiner and Sindhu Chitturi, retail analysts for Deutsche Bank, wrote in a note to investors. On Friday, a new jobs report comes out and all signs point to the Federal Reserve raising interest rates. That in and of itself is making some investors nervous. “Unless this report is a total disaster, I think it’s very, very likely the Fed is going to raise in December,” said Scott Wren, senior equity strategist at the Wells Fargo Investment Institute.